1134 S. San Gabriel Blvd. At Total Child Preschool, we walk our talk. You can expect only positive results in your child’s development. You can be sure that your little one will have a productive day with us. We built our programs to suit the children’s learning style and ability. Our center’s learning environment encourages children to be more active in participating to every activity and also feel the comfort and warmness of home. Our program is offered to children ages 2-5. Two year old’s do not have to be potty trained. We have an excellent teacher who is very patient in potty training. Our hours of operation are Monday through Friday, from 6:30 am- 6:30 pm. We also offer a dance program, which is a separate fee. We also offer Spanish Classes and Chinese Classes. 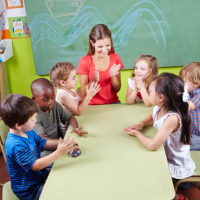 Our Program is a Montessori based program, which also includes the Common Core academics necessary for children to succeed as they leave our facility, and move on to the elementary level. If you have questions, inquiries and concerns about our programs, you are encouraged to call Total Child Preschool at 626-285-8259. You can also leave us a message through our online form in our Contact Us page.